Team Squid on her first section of trail on day 1. Good morning race fans. Please excuse any grammatical errors as I’m on my first cup of coffee after getting up multiple times in the night to watch trackers. An exciting race is starting out day 2. Hugh still has a sizable lead since he was the only musher to run straight to Braeburn. We’ll see if he can keep the lead. Often teams that go big right off the bat, loose speed, while teams that keep a steady run rest schedule, possibly building to larger runs can keep the speed up. You’ll notice that Brent is slowly closing the gap and that is because he rested earlier. It is also awesome to see rookie Katherine Keith up there currently. 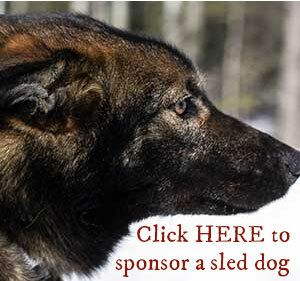 She is kennel partner with Iditarod Champion John Baker and is herself one tough athlete and doggy person. 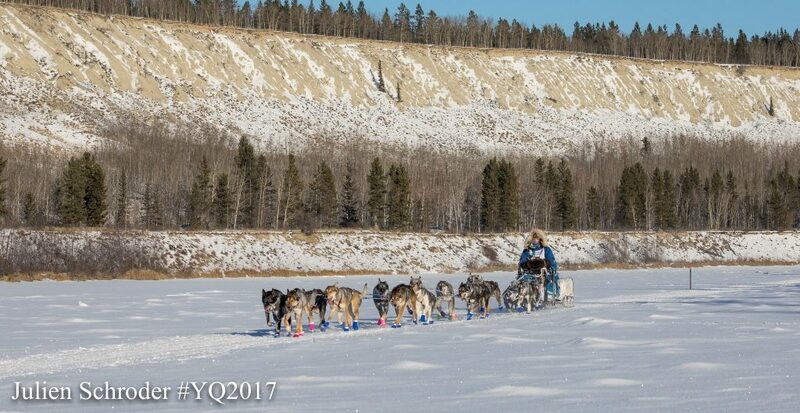 We have shared the trail with her many times on Iditarod and her positive and fun attitude is always welcome around our teams. Paige left Braeburn at 5:45 PST after doing her 4 hour mandatory with start time differential added to it. This differential gave her roughly an extra 40 minutes to rest and any extra rest is money in the bank. The run from Braeburn to Carmacks is one of my favorite runs of the race. It is reported that the trail is 76 miles this year with some different trails overland as it gets close to Carmacks due to more open water on the Yukon. Trail through this section connects a chain of lakes. So the trail rolls through the hills drops onto lakes surrounded by rocky cliffs, some several miles long then back up through portage trails dropping you back onto the next lake and on and on until dropping onto the Yukon River right before Carmacks. Mushers in this section are doing one of 3 things. Brent Sass used the strategy that I used in 2015. He ran about 60 miles on the first section, then roughly that again going through Braeburn checkpoint to camp on the trail. He is now running roughly that distance again and will end up at Carmacks checkpoint where he will do his mandatory 4 hour with differential. Mushers that stopped at Braeburn have 2 options to remain competitive. They can run straight between checkpoint for the entire 76 miles, However, like I mentioned in the first update. 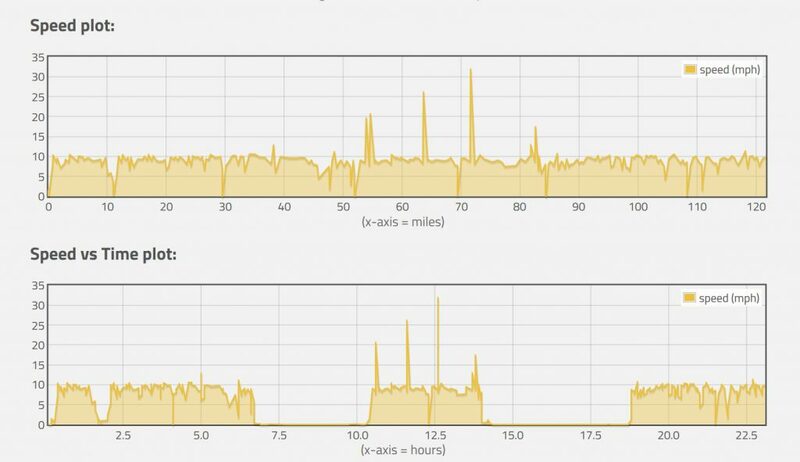 Running that long as your second run is not always the smartest method when you have 1000 miles go. Some dog teams are able to make this work and some dog teams feel the affect later down the trail, either loosing speed or worse. The third option is to split the distance from Braeburn to McCabe or even Pelly. From Braeburn it is roughly 117 miles to McCabe Creek Dog Drop and it is roughly 145 to Pelly Crossing. So you will see mushers stopping 55-70 miles out of Braeburn to camp on the trail. They will then go through Carmacks checkpoint and run straight to McCabe or Pelly. Paige will likely follow one of these plans. As I sit here typing this based on the race plan that we discussed a few days back, I am reminded of the true reality of the trail. Paige’s voice came on the morning update of our local radio station KUAC as she was being interviewed about race plans. She reminded me that her plan usually goes out the window at mile 100, that is when you become immersed in the race fully. 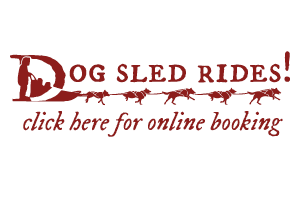 You breathe, sleep and eat with the dogs, taking in every mile and constantly adjusting based on snow conditions, temperature, difficulty of trail, elevation, etc.. now how all of these variables are affecting your team, are all dogs healthy, are they eating good with each step, each action a plan in the mushers brain changes. Camping on the trail is usually best for rest and for a chance to make moves and advances on the race, but camping at -20F or colder is easier said than done. Especialy when all you do is crawl into a sleeping bag on the snow next to the dogs. Sometimes stopping at that checkpoint that you didn’t plan to stop at can bring a smile back to a mushers face and a smile on a mushers face makes a dog team roll like a freight train since they feed of our energy. From here on out, I will be anticipating her moves, but I can’t see the variables. We’ll just be watching together. Now I’m off to run a team and pack the truck for a quick 18 hour drive to Dawson City tomorrow morning. Paige’s Plot up into 10 am PST. We’ll keep coming back to these to look and see if she is keeping her speed even over the course of the race and compare to teams in front as we get further down the trail. Fairbanks Chevrolet has been a huge help to us this past year. We can’t thank them enough for their help with our truck needs. They have even generously supplied a vehicle for us to use on the Yukon Quest trail while our dog truck gets a new axle. Thank You Fairbanks Chevrolet. Click on the logo to see a quick commercial we helped with.